world championship gold on Sunday after original winner Natalia Rodriguez of Spain was disqualified. when he clocked 13 minutes, 17.09 seconds to take gold at the shorter distance on Sunday. The 27-year-old duplicated his Olympic success and followed in the footsteps of countrywoman Tirunesh Dibaba, who won both world titles in 2005. Bernard Lagat of the United States to pull clear in the closing metres. James C'Kurui of Qatar took the bronze. Kenenisa Bekele of Ethiopia has now possibly placed his name at the top of the list of the world's greatest distance runners of all-time. Haile Gebrselassie, who was until now, perhaps the greatest distance runner of all-time. 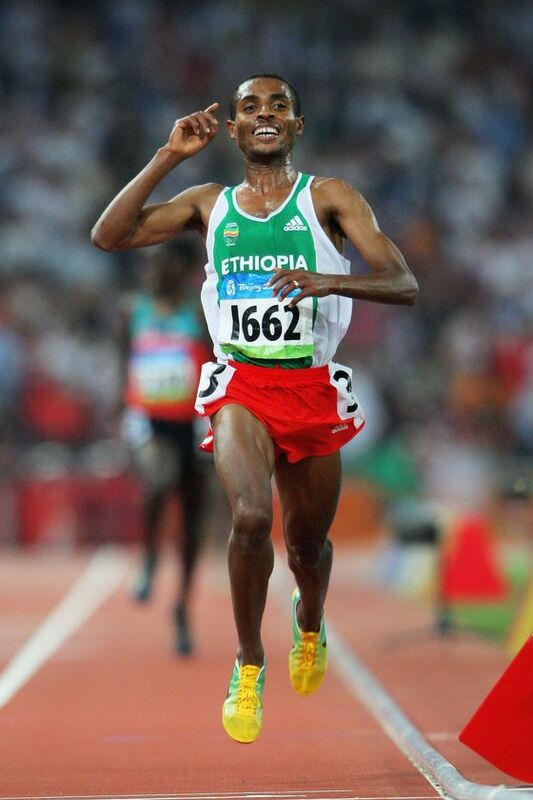 anbesaw kenenisa I am so happy he is great ethiopian.